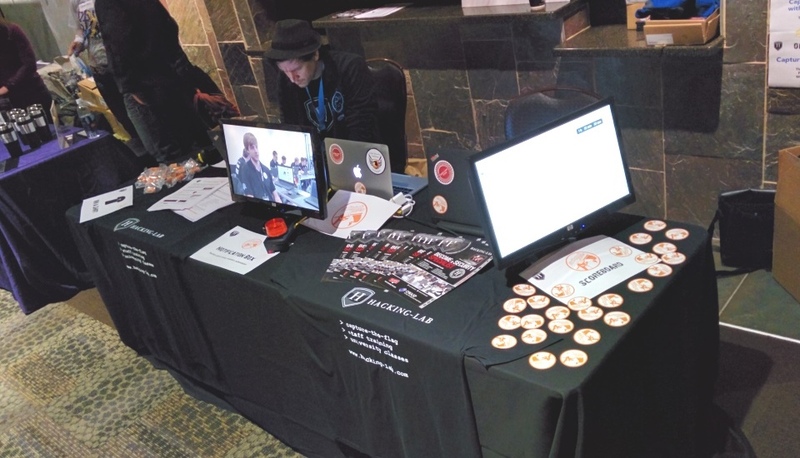 CodeMash is a conference for software developers and IT security professionals. It takes place every year in Sandusky, Ohio, in the U.S. The event consists of two parts: two days of training sessions (called “PreCompiler”), followed by two days of conference with sessions. 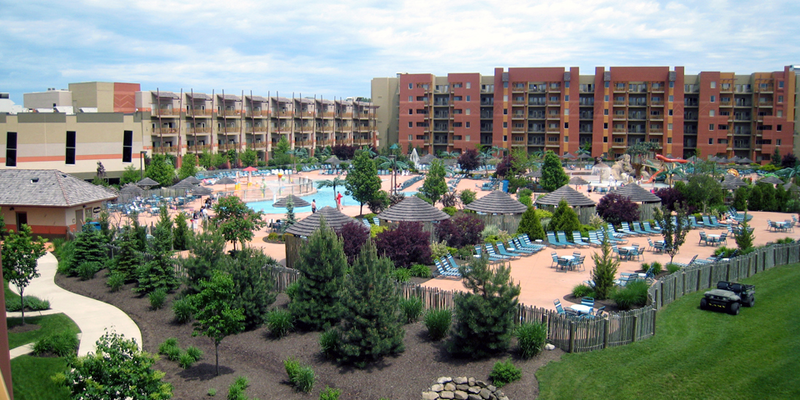 It attracts about 3’000 visitors and takes place in the Kalahari resort, which hosts, besides a huge conference center, the largest indoor water park in the U.S.
What the heck did Hacking-Lab do there? 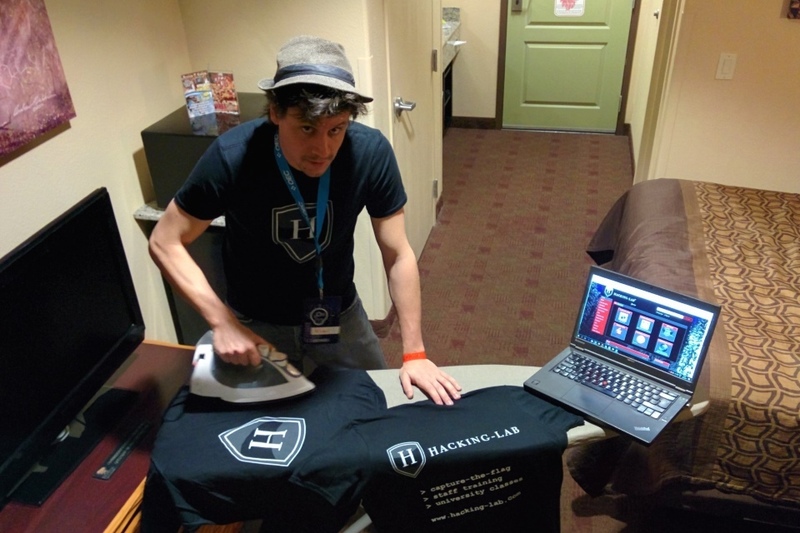 Hacking-Lab was asked to run a Capture-The-Flag tournament at the conference. Ivano and myself took this chance and decided to visit the conference as a sponsor. We had a sponsor booth during the conference part. Many people showed up, and we had a lot of interesting discussions! We also gave a lot of “swag” (stickers, USB chargers, etc.). 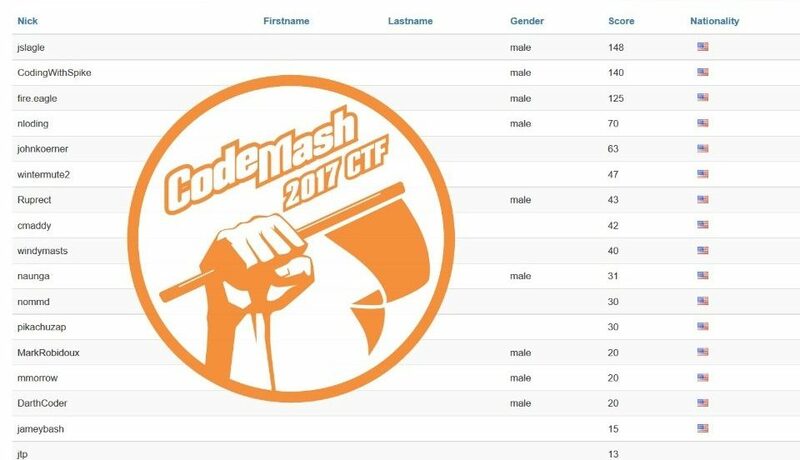 As mentioned above, we were running the official Capture-The-Flag (CTF) tournament of the conference. Even though it was running in parallel with all the interesting sessions at the conference, 100 participants signed up and did a great job! There was quite a neck-and-neck race between the top three, jslagle, CodingWithSpike and fire.eagle! In the “PreCompiler” part, we had a successful, four-hour training sessions. 80 showed up and took the chance to learn about Hacking-Lab. We assisted them in getting ready for the CTF, and they could solve some “Step-By-Step” challenges in Hacking-Lab. 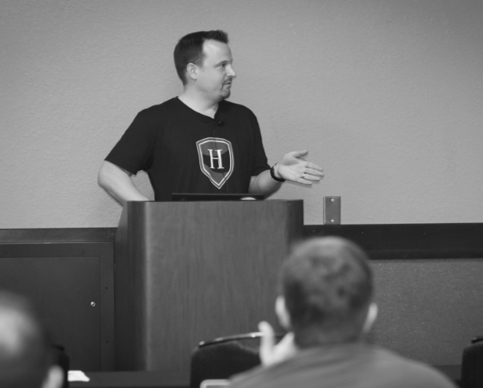 I gave a sponsor talk with the title “Capture-The-Flag Done Right: Attack/Defense System”. 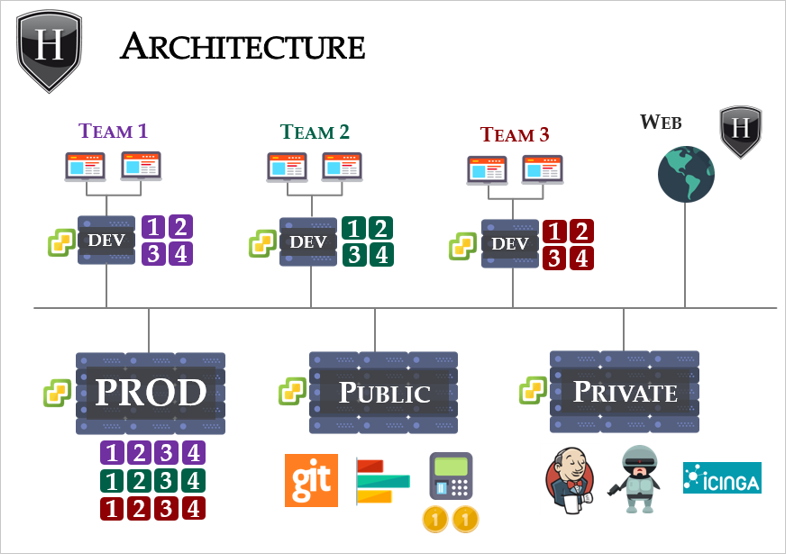 I explained our attack/defense system (which we used at the European Cyber Security Challenge), and made some live-demos. Besides that, we also had an “after dark” session, and a couple of “open space” sessions, where we supported CTF players. The CodeMash conference is simply amazing! We were really impressed. Great atmosphere, friendly people, and well organized. The location is great, too. 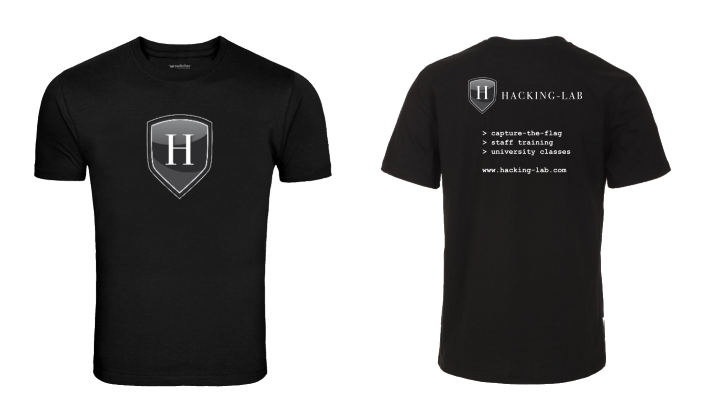 Hacking-Lab will be definitely back next year! 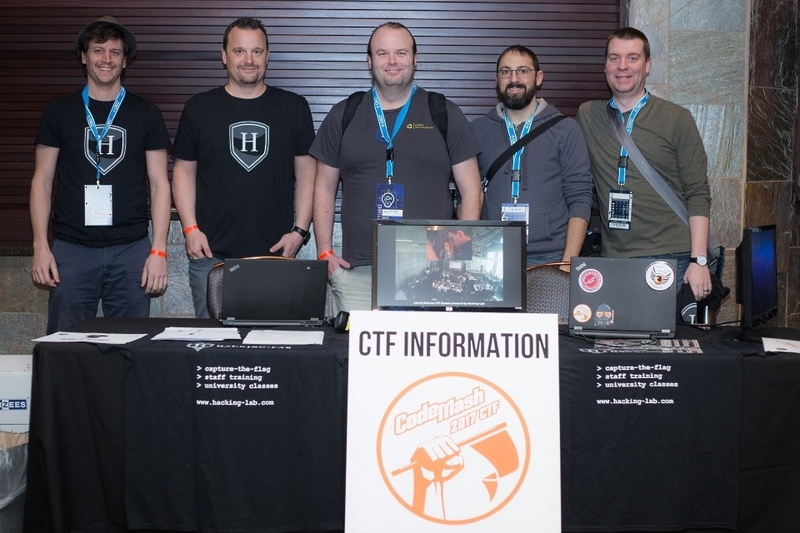 There are already plans to run a second competition next year, in addition to the CTF. It should be more like a scavenger hunt, with puzzles and riddles. Perhaps, pretty much like our Hacky Easter events.